The Grand Cherokee combines Jeep's legendary ruggedness and off-road capabilities with a sleek, upscale look. Drivers love them and work hard to keep them in good condition. But nothing can ruin an interior more quickly than the daily dirt that collects on people's shoes. 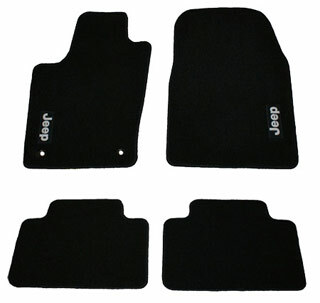 Protect your floors from damaging moisture and mud with Jeep Grand Cherokee carpet floor mats. Made by OEM Mopar, these premium mats feature a more distinctive look than the mats from the showroom floor. With custom contours and a no-slip rubber backing, they will fit snugly in the footspace of your 2011-2018 Grand Cherokee, no matter whether you're getting inside or driving away. 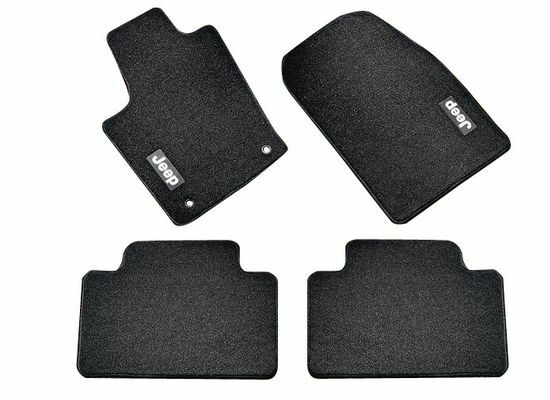 Available in two colors, each set comes with mats for the front and rear. With Just for Jeeps, you can get a premium upgrade for your Grand Cherokee without a premium price - we offer hefty discounts over dealers and great deals on shipping to help you keep your Grand Cherokee grand. Comes as a set of four premium 24oz carpet mats with Jeep logo on front mats. Please select the correct year and color above. Better quality than expected. Will be buying more products from Just For Jeeps! Had to exchange my mats for a different color. They were very understanding. Great experience overall. High quality mats. Perfect fit and they look amazing. Fast shipping as well. Identical to my originals as far as I can tell. ProsLook great. They make my car feel like its been renovated. ConsThey are carpet, not rubber, so they have the typical con's of carpet, like getting stained, etc. But I didn't want carpet, so that is not a problem. These are great - just like the original mats I had in my jeep. The only thing that stinks is that when they sent the email for me to review - I see they are on sale now. They did arrive on time and the quality is just as described. Fits perfectly. Looks much better than old ones. Yeah! Jeep baby! Very good product great quality. Way cheaper than buying from the dealer and the same quality. The passenger front mat DOES come with the holes on the end, although photo it appears doesn�€™t. Only issue was took a few days to ship out. Otherwise very good experience. Fit into the GC just great. Very high quality. No surprises. 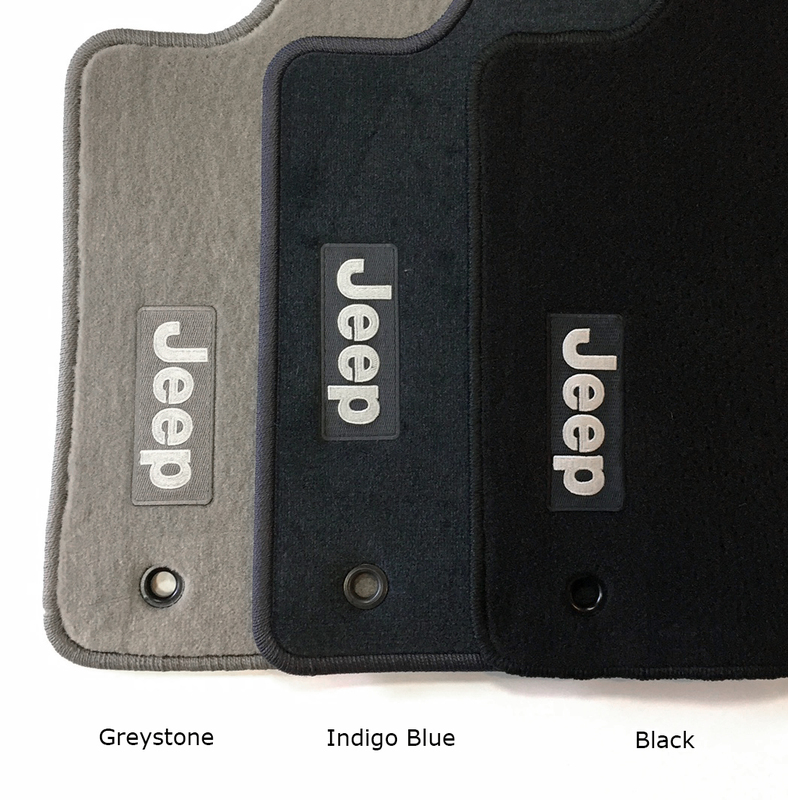 Quality black Jeep mat that gives car OEM finish. I bought my daughter a used jeep grand Cherokee and wanted to replace the floor mats before presenting it to her. I couldn't be more pleased by my experience purchasing through justforjeeps.com. I found what I needed easily and was able to purchase using my paypal which helped not having to dig out my credit card, and the mats were delivered ahead of schedule! The mats seem to be of good quality, time will tell. Floor mat are a perfect fit. fit great. just what i wanted.